Referred to by many as the first ‘super star’ English player, Kevin Keegan caused a media spotlight storm during his reign on the soccer pitch in the 1970s and 1980s. With his famous bubble perm hairstyle, the Yorkshire born striker was an icon for both Liverpool and England. There was a distinct star quality about Keegan; he forever changed the way the media looks at soccer players as more than just mere athletes but stars with proper personalities as well. Apart from his super star aura Keegan was famed for his dynamic attacking force due to which he lifted many trophies – especially at Anfield in between 1971 and 1977. Keegan is still revered at Anfield as one of their greatest players and still remains closely bound to the club showing up for numerous activities and social causes. To this day Keegan remains one of Liverpool’s favorite sons and has a special place in the heart of any Liverpool soccer lover. 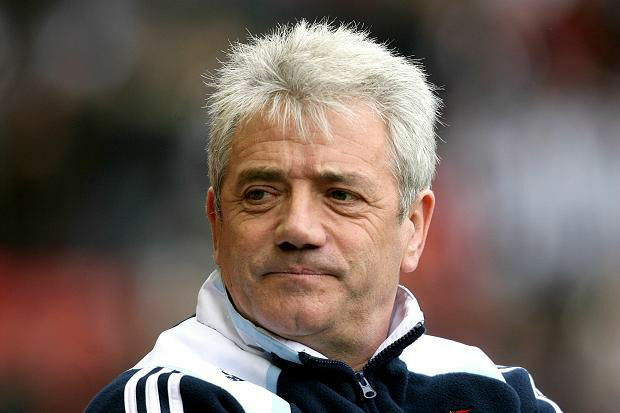 Born as Joseph Kevin Keegan in 1951 in Doncaster, England to Irish parents, Keegan battled with his small frame (5 feet 8 inches) and struggled to find a permanent spot as a youngster in various soccer clubs. Luck struck him when he was 16 when he was signed on by Scunthorpe United. Despite the height Keegan was quite skillful in aerial combat and won tournaments with his steely determination. Keegan soon began garnering a reputation as a fast, skilful and tactical player and within a few years was widely regarded as one of the finest forwards in the world. In 1971 Keegan began his legendary career at Liverpool and at that same year debuted for England playing against Wales. By 1977 he helped Liverpool win the European Cup and cemented his status as a Liverpool legend. From Liverpool on Keegan transferred to Hamburg, Southampton, and lastly Newcastle. In 1982 Keegan made his last appearance on the English team in the World Cup where he won 63 caps and scored 21 goals. He retired from soccer two years after that and managed to carve a successful career as a soccer coach and manager as well. Apart from playing for the side Keegan also managed Newcastle United, Fulham and Manchester City as well as the England national team. During his England debut in the 1972 World Cup Keegan scored the only goal over Wales which took England to the next round. Keegan’s massive career includes two UEFA Cups, three league titles, a European and FA Cup, and a total tally of 100 goals. He formed a strong tactical on field partnership with John Toshack and the duo became one of the deadliest soccer player combinations of all times with their strong sense of tactics and physical athleticism. Keegan was crowned European Footballer of the year twice in 1975-76. He was also PFA Player of the year in 1981-82. He has won the Football League Champion medals in the years 1972-73, 1975-76 and 1977-78.